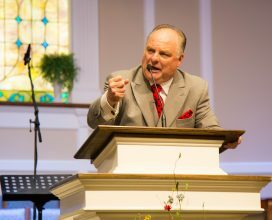 Monday and Tuesday, February 25–26, 2019 — God greatly used Dr. Terry Anglea during our Winter Revival! 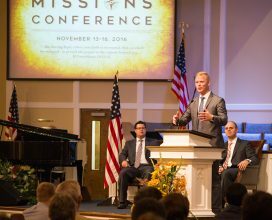 If you missed either of his messages, you owe it to yourself to watch them on our Facebook page or website. 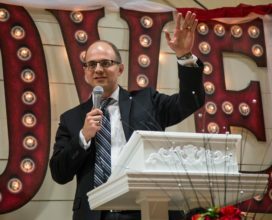 Sunday, January 13, 2019 — What a blessed time we had with Bro. Bruce Frye! 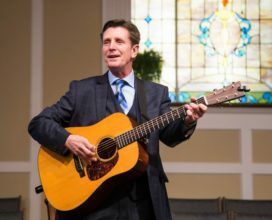 God used him mightily in all of our services as he sang and preached. 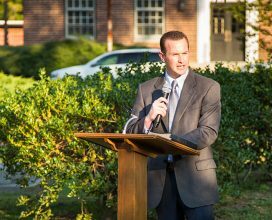 He gave his powerful testimony during a combined Sunday school hour in the auditorium as well. 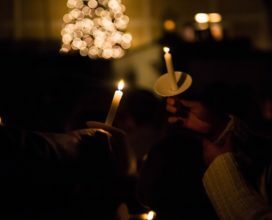 Sunday, December 23, 2018 — Our church family enjoyed our annual Candlelight Service. 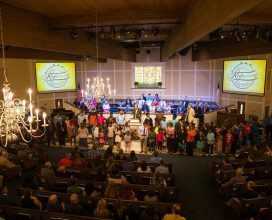 Pastor preached a great message, and it was a blessing to sing several Christmas songs together as a congregation as the candles were lit. 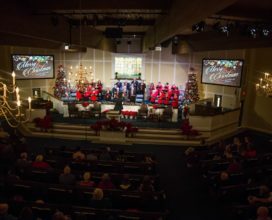 What a wonderful way to celebrate Christmas in church! 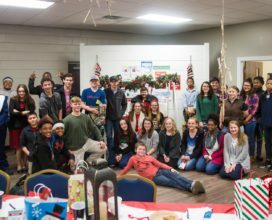 Saturday, December 8, 2018 — Tonight, we held our annual Teen Christmas Party. 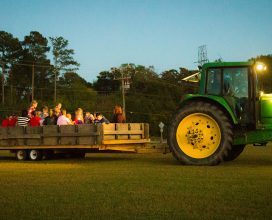 Good food, fun games, and festive activities made for a memorable night with our teens! 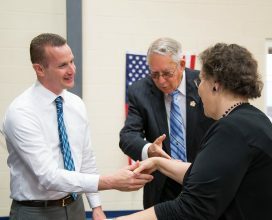 Thank you to all who attended and helped prepare for this event. 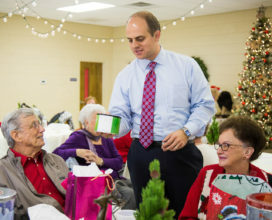 Our Saints Alive Sunday School Class had a wonderful time of food, fellowship, and fun at their annual Christmas party with the church staff. The highlight of the day was the “competitive” gift exchange and real lodge decor! 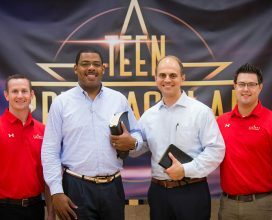 Praise the Lord for these faithful members and all they do for our church! 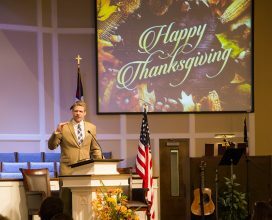 We enjoyed our “Pie, Praise, & Preaching” Thanksgiving Service! Bro. 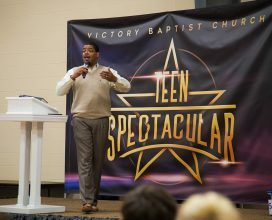 Kevin Taylor, our guest preacher, did an incredible job preaching on God’s grace. 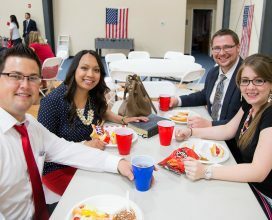 After the service, we had a dessert fellowship in the Evans Building for our members and guests. 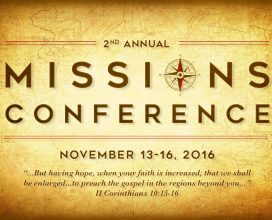 WATCH NOW: Pastor Jeremy Kobernat says a word about our 2nd Annual Missions Conference at Victory Baptist Church on November 13-16, 2016! Don’t miss this special meeting beginning this Sunday! Tonight, we had the opportunity to hear D. R. Harrison preach and share his powerful testimony! 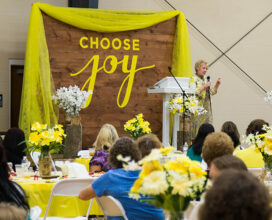 Several made decisions for Christ during the invitation. To God be the glory! Today was Hot Dog Sunday on our buses! After the service, the kids (and adults!) enjoyed making a HUMAN HOT DOG for their bus! Our bus riders received hot dogs for lunch as well. Thank you to all our workers for making this a fun event for our bus kids! 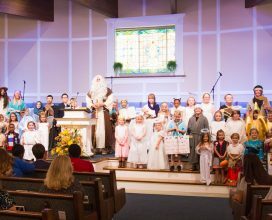 Tonight, our Master Club children and workers dressed up as Bible characters for their annual fall party! We enjoyed seeing so many creative and realistic costumes! 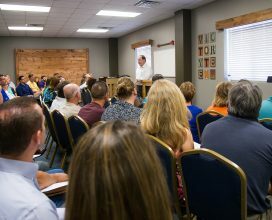 We enjoyed our Couples’ Seminar with Pastor and Mrs. Rabon! 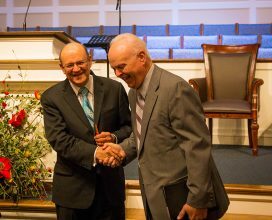 The Rabons’ love for the Lord and each other was evident in both their teaching and testimony. 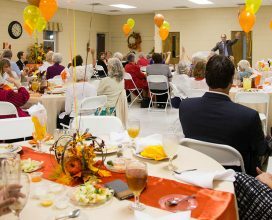 Our members enjoyed hearing from them, as well as participating in the games and eating and fellowshipping with one another. We had a great time at Youth Retreat! 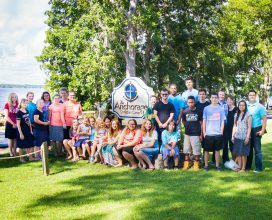 From rock climbing and tubing, to preaching and singing, our teens and church staff enjoyed a full weekend at Anchorage Christian Camp in Lake Waccamaw, NC. What a great way to end the summer! 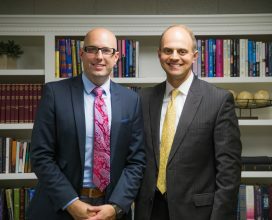 On Sunday, June 26, we voted our new assistant pastor and his family into our church and held a welcome fellowship for them after the evening service. We are so blessed to have Bro. Dan and Kellie Bybee serving with us, along with their three children! 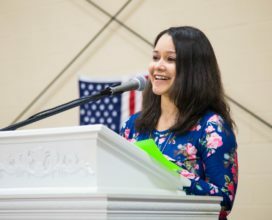 Congratulations to our graduates and their families for their accomplishments! 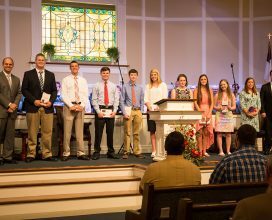 During the morning service, we recognized all of the high school and college graduates in our church and presented them with brand-new Bibles. May we continue to pray for them to seek and do God’s will for their lives! 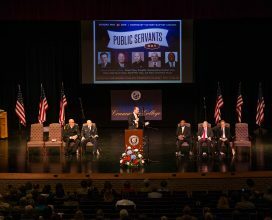 What a great Public Servants Day! 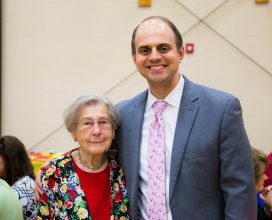 Last Sunday, we held our morning service at The Centre at Halifax Community College and recognized our special guests for their service. Thank you to all of our public servants for attending and to all our members for the prayer and preparation put into this event! 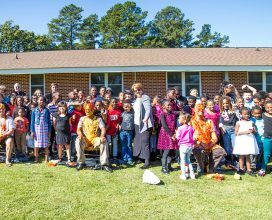 We are thankful for a church that believes in the bus ministry and reaching souls! During the Sunday morning service, our bus riders, workers, and drivers were recognized for Bus Ministry Sunday. Pastor also had the privilege of baptizing a young boy whose family recently joined the church. 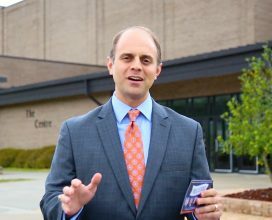 WATCH NOW: Pastor Jeremy Kobernat invites all public servants and their families to join Victory Baptist Church for Public Servants Day! This special service will be held at 10:30 AM on Sunday, May 22, 2016, at The Centre at Halifax Community College (Weldon, NC). 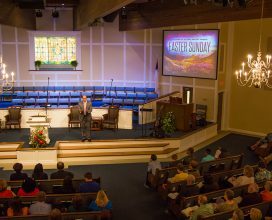 What a blessed Easter we had yesterday! Pastor preached with God’s power and gave a clear gospel presentation. 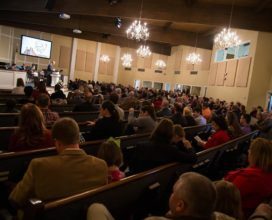 Between the two morning services, we had 771 people in attendance, several salvations, and many visitors! To God be all the glory! Tonight, we had the opportunity to have Evangelist Larry Brown with us! Bro. 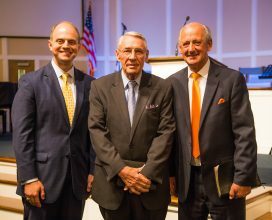 Brown preached a fiery, convicting message on “Shields of Gold.” God used him mightily, and our people enjoyed talking with him and his wife after the service. 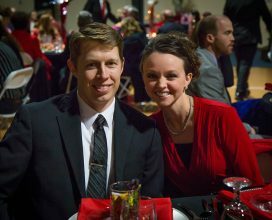 We enjoyed a wonderful evening with several members and guests for our annual Valentine’s Banquet! 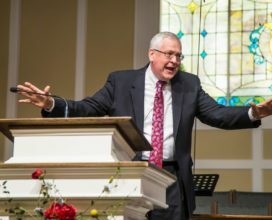 We also had the privilege of hearing a thought-provoking message on God’s love from Pastor Ray Haskett (Calvary Baptist Church—Colonial Heights, VA). 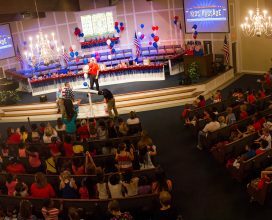 The decorations, games, food, fellowship, and preaching made for a memorable night for our church! 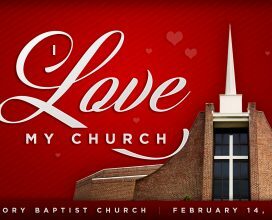 WATCH NOW: Pastor Jeremy Kobernat expresses his love for Victory Baptist Church and encourages everyone to be present on February 14 for “I Love My Church” Sunday!